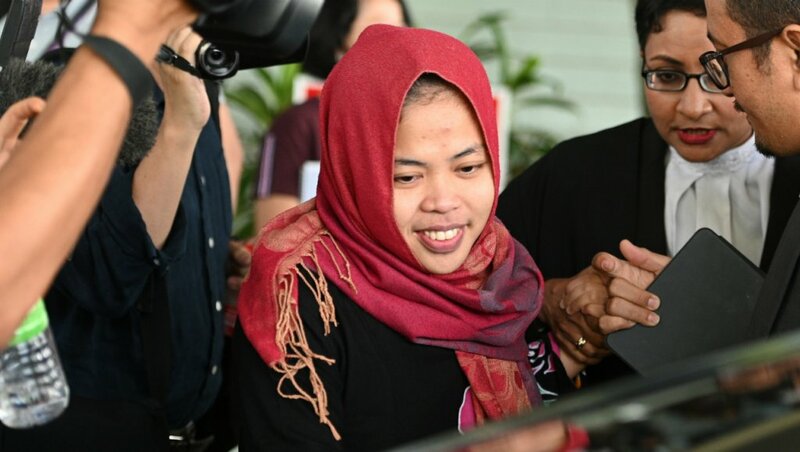 Siti Aisyah along with Vietnamese Doan Thi Huong had been accused of smearing toxic VX nerve agent on Mr Kim's face in Kuala Lumpur airport in 2017. Both have denied murder, saying they thought they were part of a TV prank. The prosecutor in the case requested the murder charge be dropped, without giving a reason. The Judge approved the request saying "Siti Aisyah is freed", but this does not amount to an acquittal, according to APF news agency. Co-defendant Ms Huong was expected to read a statement in court on Monday which would be the first time either of the two have given testimony.